This article offers a practical explanation of the communication plan. After reading, you’ll understand the basics of this powerful communication tool. A communication plan is a structured approach used to provide various stakeholders with information. The detailed communication strategy records who must receive what specific information, when this information must be supplied and which channels must be used for this purpose. A communication plan can be compared to a route map to convey a message to the audience, both internally, within the organisation, and to the external environment. For example, when a new product or initiative is launched, this must be conveyed to the people who want to be informed. With this tool, an organisation is able to send a clear and specific message with measurable results. Internal projects can also benefit from a clear communication plan. This identifies who is responsible for generating and managing (confidential) information. A communication plan isn’t simply about conveying information unilaterally, but also about asking questions and counter-questions. After all, communication is a two-way street. 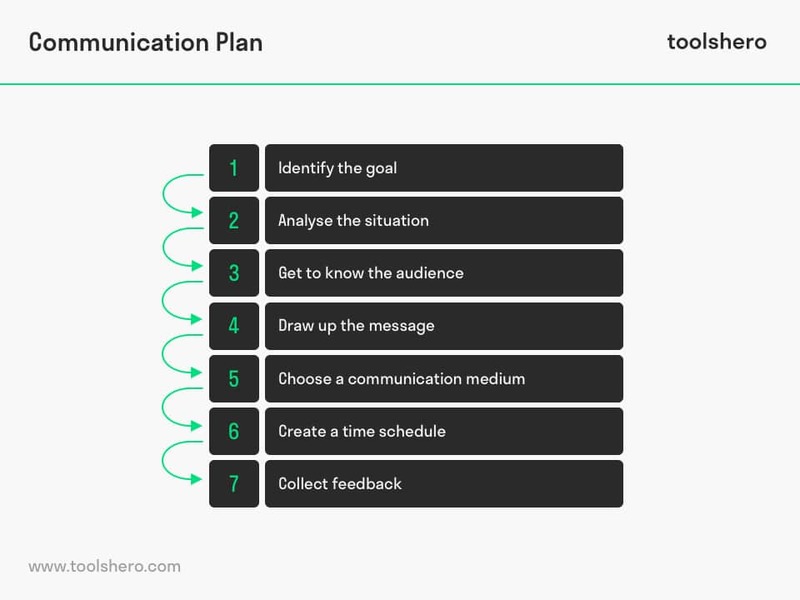 Use the steps below to create an effective communication plan. Think about the goal of the message to be communicated beforehand. It’s possible that the best communication strategy is dependent upon the message. In case an objective must be communicated, at least make sure that the message or objective is SMART. Define the general and specific communication objectives. Projects don’t take place in a vacuum, so it’s important to understand and consider the general project environment. Conduct an audit to determine what the current communication situation is. Include communication employees or advisers in this, and speak to various departments of the organisation. Depending on the goal of the communication plan, the message is sent to a specific audience. It’s important to know who the audience is. Make a list of all target groups of the organisation, such as members, customers, employees, management, government officials, partners, etc. Subsequently, determine what exactly must be communicated. Take into account the contents, mood, language and structure. The message must be created with the audience in mind. Therefore, it’s recommended to work out the contents of the message and subsequently convey it effectively. The tone of the message will partly determine how the audience will respond to it. If this tone is too aggressive, or too extreme in any way whatsoever, the audience won’t pay much attention to it. An overly positive tone will usually accomplish more than messages appealing to negative emotion, such as anger or fear. Also try to match the language level to the audience. In doing so, differentiate between formal or informal, simple or complex, referring to and quoting of famous people or personal without including others. If the message is too informal, the audience may feel they’re being addressed in a way that doesn’t fit the sender. If the message is too formal, the audience may feel as though they’re not being addressed at all. Simple, clear language that effectively and precisely expresses its intention is more suitable. What media do your target group prefer? How can target groups be reached that don’t or hardly make use of the selected media? Does the risk exist that the information, or part of it, isn’t conveyed correctly via the chosen medium? Are there means available for the chosen form of communication? 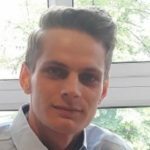 Should the option for mutual communication exist? Or is the announcement a one-way street? In order to achieve the communication objectives, the steps to be taken must be planned and timed. Determine when the message must first be sent, how and when it will be shared by which people and how long the message must stay available. The audience may understand the message better if it’s repeated. It’s important to gather feedback during the entire process of a communication plan. For example, the message may have to be adjusted because the audience doesn’t interpret it correctly or because it contains errors. At the same time, it’s also important to notice when the message is effective. Communication doesn’t stop when the send button is clicked. Take your time to monitor whether the communication was effective. Ask people if they understood the message, or check whether they remember (part of) the message. If the results aren’t satisfactory, implement the necessary changes to make the communication more effective. Using different means of communication encourages involvement from different stakeholders. From relatively simple methods such as phone or email to more complex methods such as collaborative platforms on the Internet, different stakeholders have different needs when it comes to communication. When during the process of writing the communication plan, it’s decided that a relatively complicated medium will convey the message, it’s advisable to include a manual containing a step-by-step plan that details how the audience may access the information. It’s important that the right technology is used in the right situation. When information must be shared with stakeholders regarding a project, phone calls, phone conference calls, emails or virtual meetings may be used. If the goal is to brainstorm about problems or new ideas, it’s perhaps better to use a collaborative portal where ideas or suggestions can be saved and shared. Furthermore, such a portal can be used to store documentation, status reports, notes or to keep track of the time plan by means of burn down charts. What do you think? Are you familiar with the explanation of the communication plan? Will you be using this plan in the future to ensure more effective communication? What do you believe are factors that contribute to an effective process for communication planning? Do you have any tips or additional comments?